During the Civil War, a Pennsylvania newspaperman who printed anti-war opinions soon had his printing press destroyed by vandals. But after he vowed to start the paper up again, he was visited by U.S. marshals who shut him down for good -- on orders, they said, from President Abraham Lincoln. 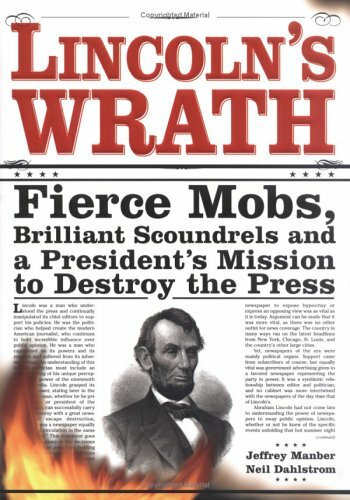 The case is now told in the book Lincoln's Wrath. Jeffrey Manber is the co-author.